This may not be the best of times for Nigeria’s downstream sub-sector of the petroleum industry as signals emanating there from appear gloomy thus sending shivers down the spines of stakeholders. First to give an inkling of what should be expected in the months ahead was the Federal Government’s 2019 budget set aside a lean $1 billion(about N305 billion) for payment of fuel subsidies. The development has since pitched citizens against the government as to what its true intensions are for the downstream sector, considering the administrations earlier claim that it had stopped the infamous subsidy regime. This is as stakeholders haave been told that Federal Government is currently indebted to fuel marketers to the tune of N564 billion in fuel subsidies having made provision for N236 billion through promissory notes from a total debt figure of N800 billion. The outstanding debt figures according to the oil marketers was crippling most businesses as some have had to lay off workers while others have had to slash salaries in a bid to meet other financial commitments. The banks have equally not spared them as some of them have had their tank farms and depot facilities taken over due to their failure to meet their financial obligations to the lenders. In view of the recent developments, some stakeholders who spoke to Daily Sun in separate interviews have called on the government to garner the political will needed to fully deregulate the downstream sector in a bid to spur fresh investments needed to grow the sector. Already, oil marketers under the umbrella of Major Oil Marketers Association of Nigeria (MOMAN), Independent Petroleum Marketers Association of Nigeria (IPMAN), and Depot and Petroleum Products Marketers Association (DAPPMA) have called on the Federal Government to urgently deregulate the downstream sector for unfettered private sector participation and investment. Executive Secretary of MOMAN, Mr. Clement Isong, said the downstream sector of the petroleum industry should operate in line with international best practice obtainable globally. He said the implementation and compliance with these regulations, the concept of cost recovery and competitive investment returns will ensure the sustainability of the sector. “As the market players grow their business, they will increasingly become exposed to risk management challenges and will move their capital to areas where return matches the risks. We recommend that government should deregulate pump prices and focus on enforcing compliance with adequate regulations on health, safety, environment and quality,’’ he canvassed. Isong, maintained that, only a total deregulation would save the industry from imminent collapse as it remained the viable and sustainable solution to the myriad of problems facing the industry. He explained that deregulation would encourage the establishment of private refineries and other related infrastructure in the country. He stated that when private sector investors build more refineries, products will be available in every nooks and crannies to the advantage of the masses. He also noted that deregulation would also address frequent shortages of products as marketers would source for forex at competitive rates to import products, without necessarily depending on government. The MOMAN scribe said that the nation’s current business model for the distribution of petroleum products was unsustainable. “We feel the time is now to encourage a well-informed and honest debate among ourselves as Nigerians on our downstream pricing policy, showing sensitivity to the fears of Nigerians and the challenges we face as a people and as an economy to arrive at an equitable but sustainable business model,” he advised. For his part, the Executive Secretary of DAPPMA, Mr. Olufemi Adewole, said that rise in the landing cost of petroleum products has renewed the call for full deregulation of the downstream sector of the nation’s oil and gas industry. 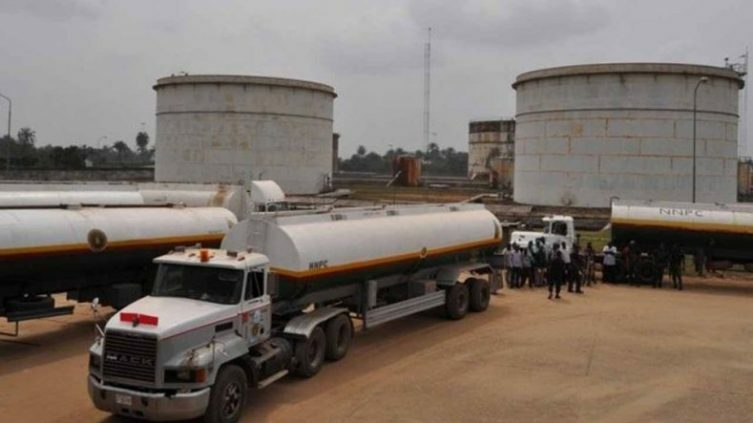 He said that the Nigerian National Petroleum Corporation (NNPC), has been the sole importer of petrol into the country for more than a year as private oil marketers stopped importation due to shortage of foreign exchange and increase in crude oil prices, which made the landing cost of the product higher than the official pump price of N145 per litre. Group Managing Director of NNPC, Mr. Maikanti Baru, had said that the Federal Government has been resisting intense pressure to increase the pump price of petrol, noting that the landing cost of the commodity was N171.4 per litre, when oil price was around $64 per barrel. The DAPPMAN scribe said deregulation has the advantage of opening up the sector to competition whereby players are able to participate at every segment of the value chain due to the absence of entry barriers in the supply and distribution of petroleum products. “The appeal for the deregulation of the downstream sector is clear in that it would encourage efficiencies in the sector. However, bold reforms will be necessary to allow for private sector entry into the sector. Also commenting, the National President of IPMAN, Mr Chinedu Okoronkwo, said deregulation of the downstream sector would also attract more investments, generate more jobs and reduce the pressure on foreign reserves. Okoronkwo stressed the need for full deregulation and liberalisation of the downstream market to address the persistent challenges in the oil and gas industry. He said that it is expected that deregulation of the downstream will lead to improved supply, competition and eventually drive down pump prices, as well as encourage investments in refineries and other areas of the downstream sector.